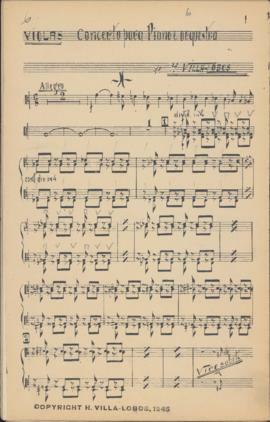 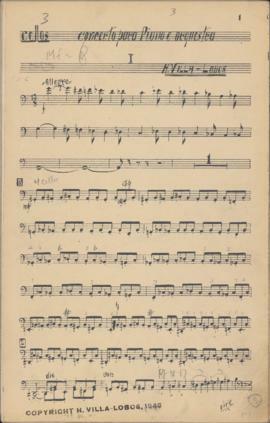 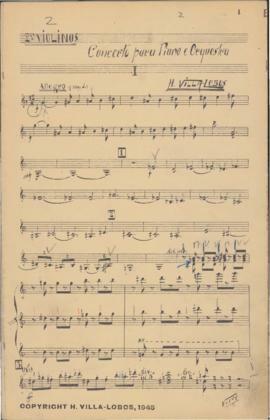 Subseries contains scores and parts for Villa-Lobos's first piano concerto, dedicated to Ellen Ballon. 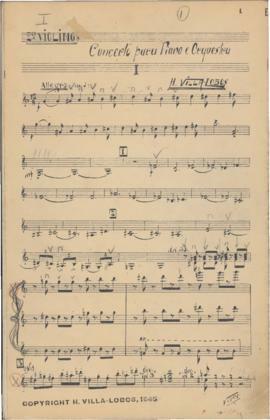 It includes the autograph manuscript, copies of the manuscript, a two-piano reduction of the concerto, and parts for each of the orchestral instruments (piccolo, 2 flutes, 2 oboes, English horn, 2 clarinets, bass clarinet, 2 bassoons, contrabassoon, 4 horns, 3 trumpets, 4 trombones, tuba, timpani, tam-tam, triangle, bass drum, harp, strings). 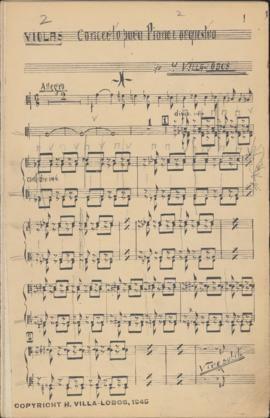 The concerto premiered on October 11, 1946 at the Teatro Municipal in Rio de Janeiro, featuring Ellen Ballon as the piano soloist with Heitor Villa-Lobos conducting the Orquestra do Teatro Municipal. 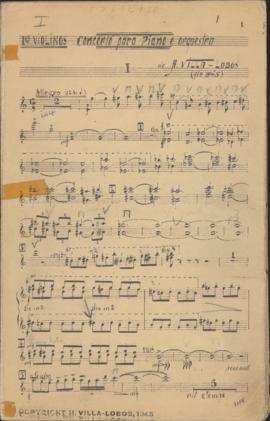 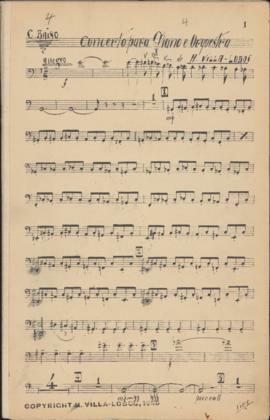 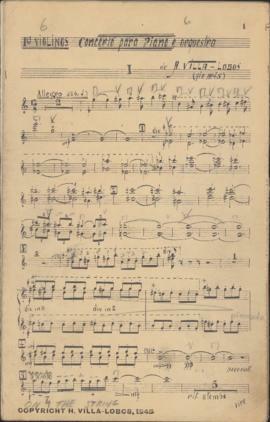 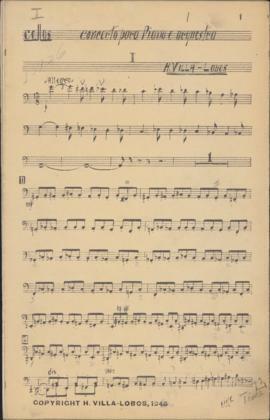 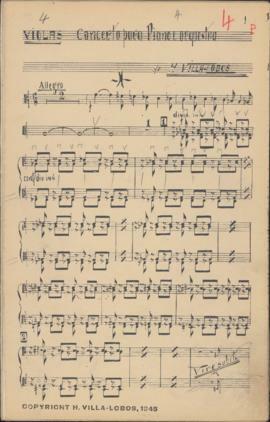 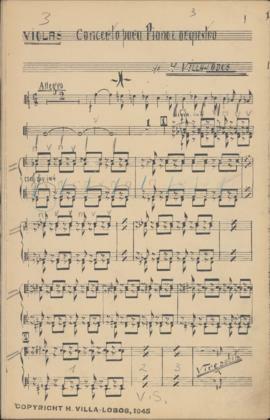 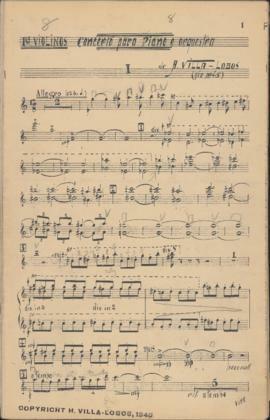 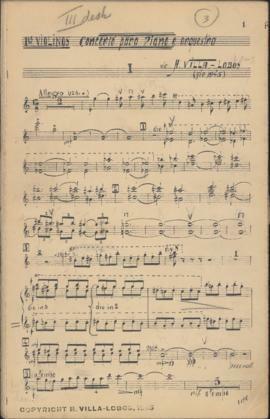 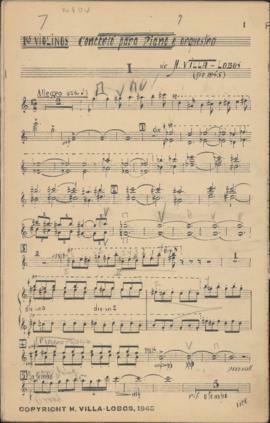 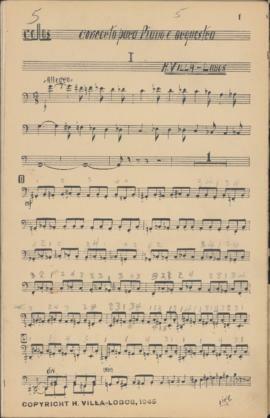 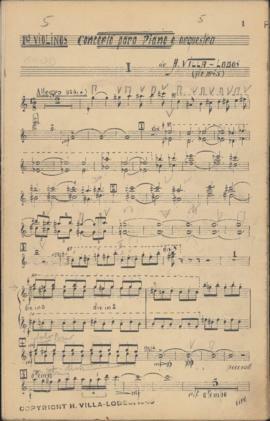 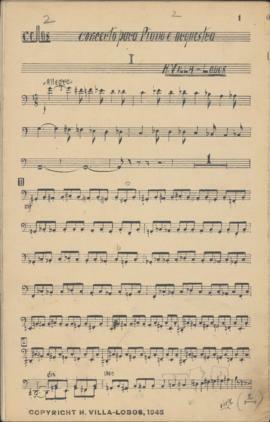 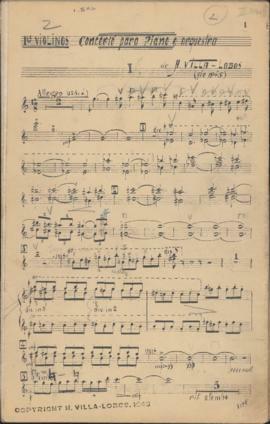 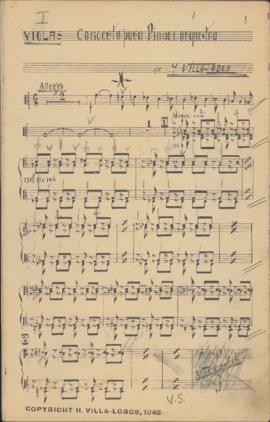 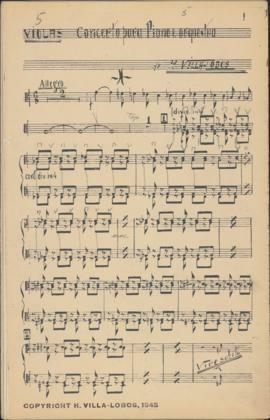 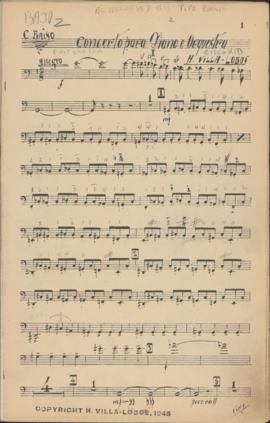 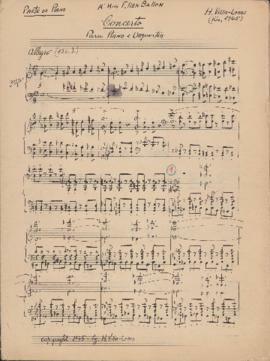 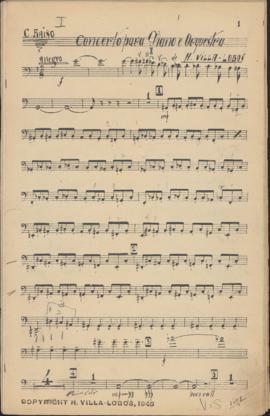 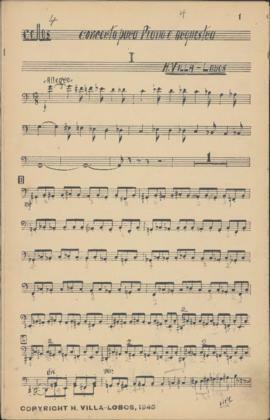 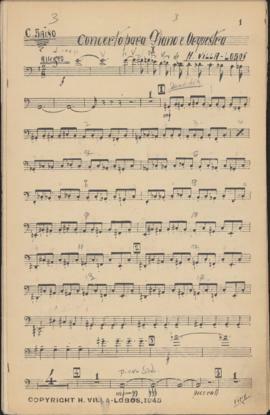 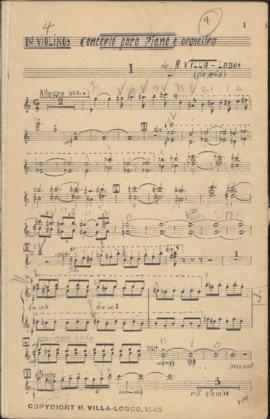 The score and orchestral parts were presumably used at the premiere performance as well as a few subsequent performances, indicated on several of the individual instrumental parts. 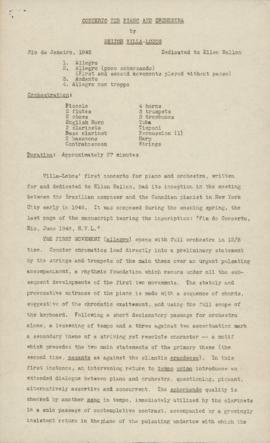 Description created by Rebecca Shaw on January 15, 2018.